Who was top predator after T. rex? It was millions of years before big animals reappeared following the mass extinction. While the dinosaurs were alive, mammals remained relatively small, but they gradually evolved to replace dinosaurs as the dominant land animals. Hoofed beast Andrewsarchus became the biggest carnivorous land mammal ever. However, these large mammals faced competition from an unlikely source when birds also evolved into fierce predators. What did predatory mammals eat? 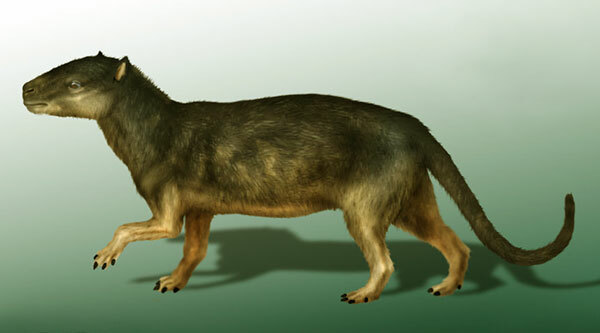 Andrewsarchus would have been able to hunt down plant-eating mammals, resembling this early hoofed herbivore called Phenacodus. 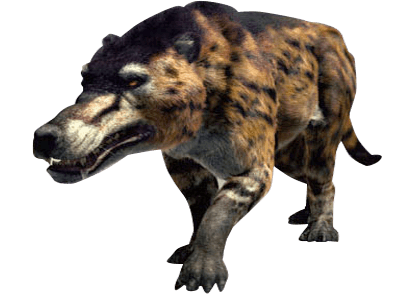 About the size of a sheep, Phenacodus was lightly built so it stood some chance of escaping a predator. It probably lived in herds and kept to forests for feeding and shelter. When did big plant-eaters reappear? Some 20 million years after the mass extinction, big plant-eating animals were back on the scene. Uintatherium was about the size and shape of a rhinoceros and had pillar-like, weight-bearing legs. 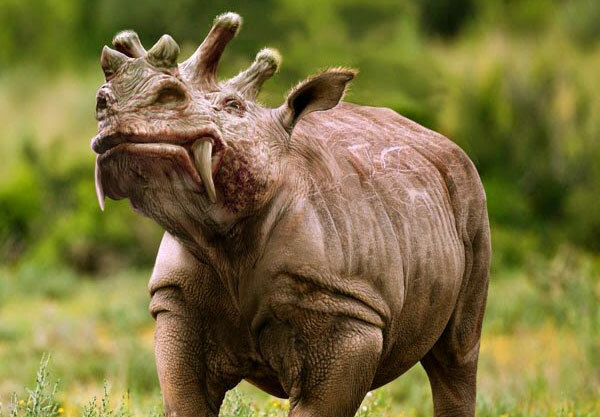 It had three pairs of horns on its head, and tusk-like canine teeth, which it probably used for fighting. Uintatherium lived on a diet of leaves and fruit. Did early mammals live in water? This animal looks like an otter, but was, in face, a very early whale. Although Ambulocetus could walk on dry land, it was also a powerful swimmer, showing how whales evolved from land-living mammals. 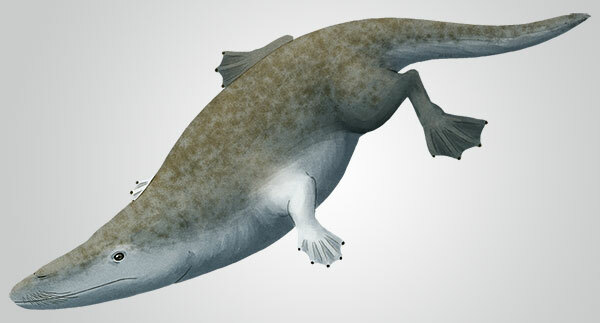 It would take about 10 million years before watery mammals, such as Ambulocetus, evolved into the whales that we recognize today. Large, carnivorous, flightless birds became some of the world’s fiercest predators. 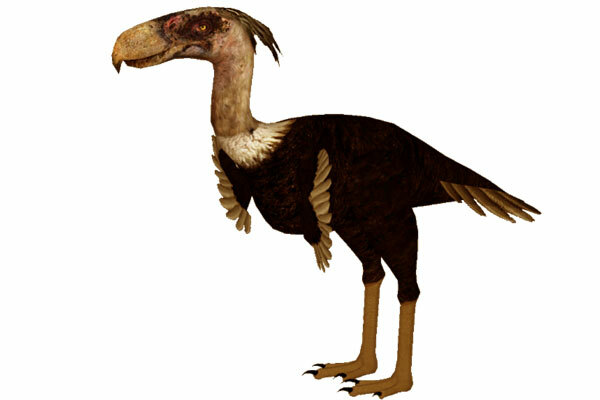 Titanis, or “terror bird”, was about 2m (7ft) tall and had a sharp, hooked beak and huge claws. Titanis hunted small mammals on America’s open plains, where it competed with the big carnivorous mammals to be top predator. When did bats first appear? 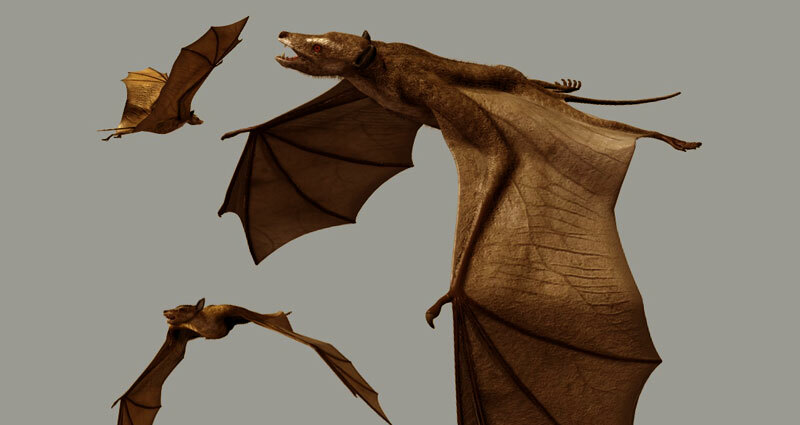 Ten million years after the disappearance of the pterosaurs, the first flying mammals appeared. Bats have changed little since then, and are still the only flying mammals. Many bats are nocturnal and use their special sense of hearing to find their way and locate prey in the dark. Many bird groups evolved, including modern ones, such as owls, swifts, herons, and eagles. Early penguins included some giant forms that grew up to 1.5m (5ft) tall. 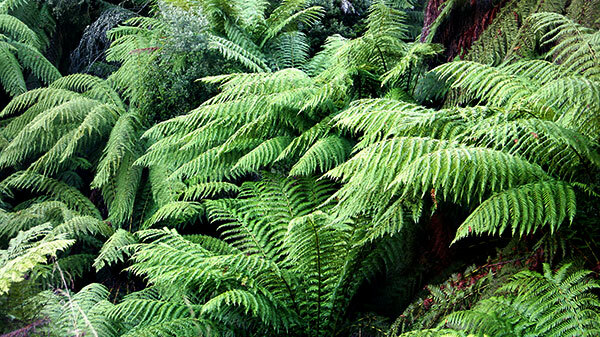 Fossil records show that ferns were the first plants to return after the mass extinction.